It's been almost 5 years since Nick started working at Mighty Good. Back then, we were just one cafe on Main St. with a staff of less than a dozen. He had been back from the Peace Corps for just a few months when he wandered into the shop looking for a job. 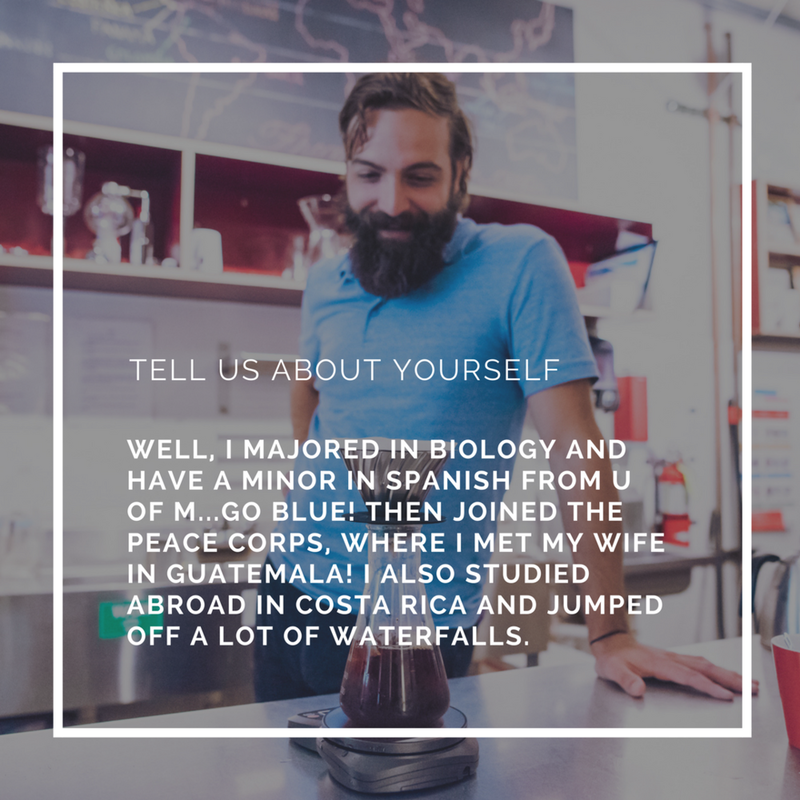 Despite no coffee experience, his Peace Corps experience was based in Guatemala near the growing of Huehuetenanago and he had experienced coffee farming first hand. He had a real passion for coffee that sparked our interest in having him join our small team. Since then, we've grown to 4 cafes with a few stops on the way (Two Wheel Tango and Mark's Carts). Nick has lead our growing team for the past 4 years, first as the manager of our Main St. location and now as the General Manager of all cafe operations with 35 staff members.